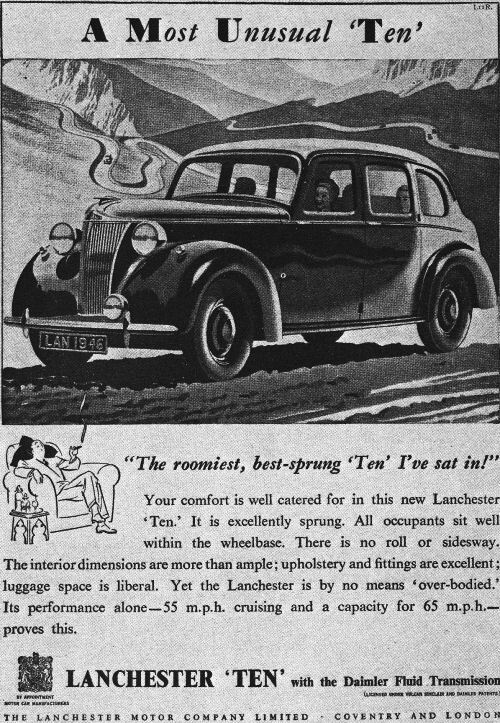 Lanchester Ten, Series LD10, is produced from February 1946. The engine, a 40-bhp OHV Four of 1287 cc, is one of the most powerful Tens of the day. It drives through a fluid flywheel with pre-selector gearbox giving a top speed of 68 mph.. Wheelbase is 8 ft 3 in, tyre size 5.25-16. Front suspension is coil spring ifs, with an anti roll bar, giving above average handling. 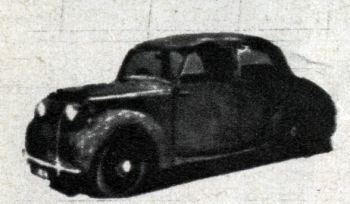 Six light saloon body is standard. 8th of March Dr Frederick Lanchester died at the age of 77.